Communication Students: Here's your assignment we talked about today. You are to write specific ingredients, steps, and any alternatives or further customizations for each section. Again, remember—you need every single step and incredibly specific ingredients. No slacking—I'll be grading hard! Put peanut butter onto bread piece #1. Using the knife, smear 2 tablespoons of peanut butter onto one side of the bread. It's best to make sure that it's spread evenly across one side. When you are done, put that piece of bread aside. Put jelly onto bread piece #2. Take a spoon full of jelly (approximately 1 to 1.5 tablespoons) and smear it onto one side of the bread. Again, make sure the jelly is spread evenly. Put 'em together. Pick up the peanut butter piece and put it, PB-side down, on top of the jelly piece (jelly-side up). At this point, I'd recommend you cut the sandwich in half to make it easier to eat. Enjoy. Goes great with a tall, cold glass of milk. Creamy or crunchy? Either type of peanut butter will work, and either type are delicious. Don't like jelly? 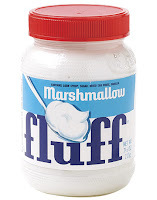 Use honey or marshmallow fluff instead. Toasting the bread is awesome because the warm bread will melt the peanut butter, but the jelly will stay pretty cool. Awesome people cut the bread diagonally; lame-os cut the sandwich in half from a square to two rectangles. Ok, so that's what I'm expecting. Seems a lot more in-depth than just "TEACH-AH, JUST PUT IT TOGETHA!" Now YOU make a blog post, just like I did, with all the information for your speech.